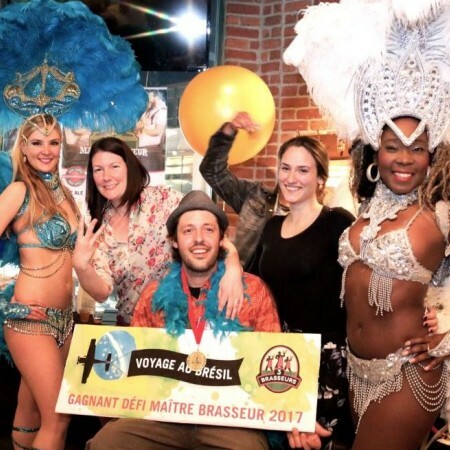 MONTREAL, QC – Brewpub chain Les 3 Brasseurs/The 3 Brewers has announced the winners of the 2017 edition of its Master Brewer Challenge competition. On April 26th, the 19 locations of the chain in Quebec and Ontario launched a beer created especially for the competition by the local brewmaster, each in one of four categories: Pale Ale, Amber, Brown and Wheat. One finalist in each category was selected by a panel of 8 industry judges, and at a gala event on May 3rd, the 19 participating brewers, their support teams, and 3 VIP customers selected the overall winner. All of the Master Brewer Challenge beers will remain on tap at the respective 3B locations until May 16th.